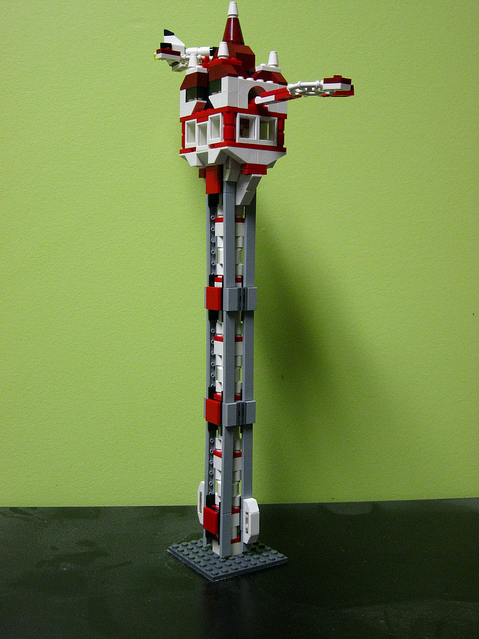 For several years now, the Japan Space Elevator Association (JSEA) has had an annual competition (LASER) devoted to children building models of Space Elevators and, this past year, the American Space Elevator Conference added a similar event to its schedule. 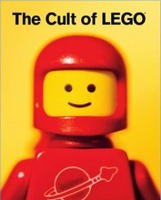 And now a new book has been published titled The Cult of LEGO, by John Baichtal and Joe Meno. It is an absolutely fascinating look into this whole genre, everything from the history of LEGOs, Minifigs, LEGO art, the whole robotics – Mindstorm thing (which I really would like to do one day)., etc. The last chapter of the book, entitled “Serious LEGO” talks about LEGOs being used for Autism Therapy and “Open Prosthetics”; amputees using LEGOs to help design the next generation of prostheses – talk about being Über cool. And, in that same chapter, Serious LEGO, is a sub-section entitled “Prototyping a Space Elevator“. Here the authors discuss the LEGO model of a Space Elevator that the representatives from the Japan Space Elevator Association (JSEA) brought to the 2008 Space Elevator Conference, complete with pictures (I had earlier posted about the JSEA LEGO Space Elevator here). While not inexpensive (prices on Amazon for this book currently run from $20 on up), it is a really fine look into the whole cult of LEGO. I’ve skimmed through the entire book and am now about 1/4 of the way through a serious read of it. 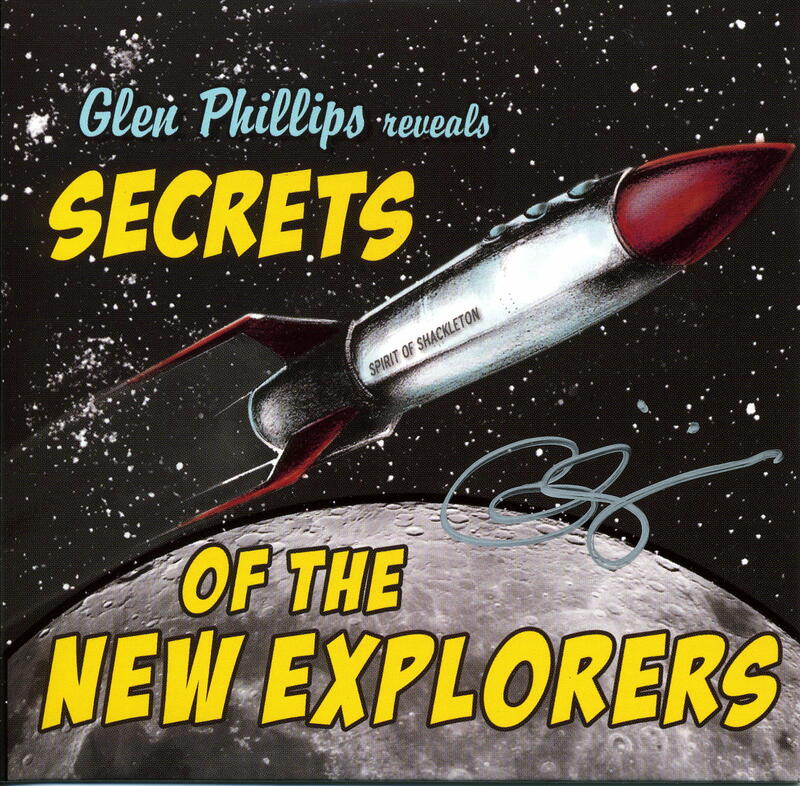 And, on a related note, there are now several pictures posted on Flickr of entries into last summer’s The Next Generation of Space Travel competition. 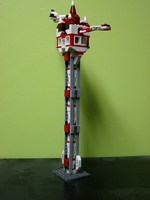 The winning entry was, fittingly enough, of a Space Elevator. Shown is a picture of the winning entry. Click on the thumbnail to view a full-size version of the picture. You can see more pictures of this entry here. This entry was posted in News / Announcements on February 18, 2012 by Ted Semon.